• Christian Garcia made another rehab appearance as he started the game and threw one scoreless inning allowing one hit and tossing a mere eight pitches. • The loss for Trenton was their eighth straight in rubber games of series and moves them to 1-8 on the season. 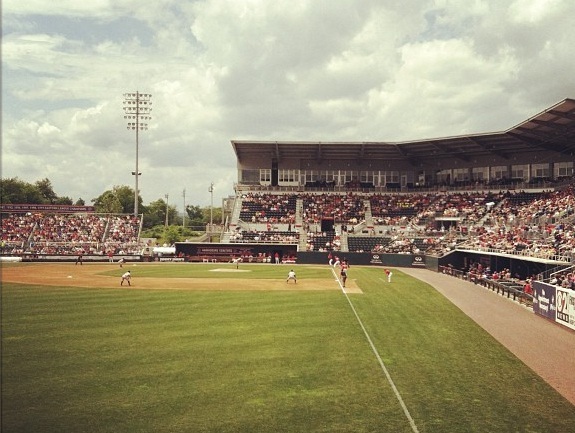 • The Senators averaged 6,172 fans over this three-game series setting a season-high so far in 2013. • Former Senator Erik Davis made his MLB debut on Sunday afternoon in Atlanta for the Nationals and threw 1.2 hitless innings striking out two. This entry was posted in Recaps and tagged Christian Garcia, Erik Davis, Harrisburg Senators, Matt LeCroy, Steven Souza, Taylor Jordan, Trenton Thunder. Bookmark the permalink.